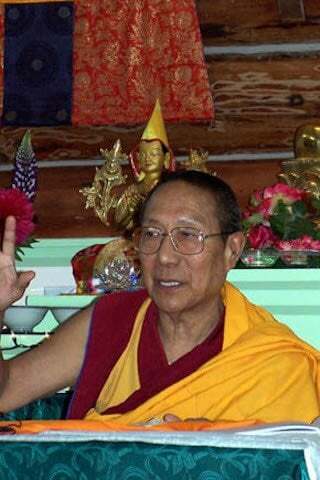 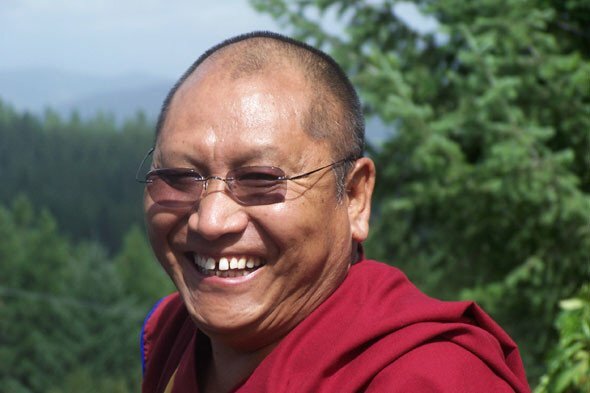 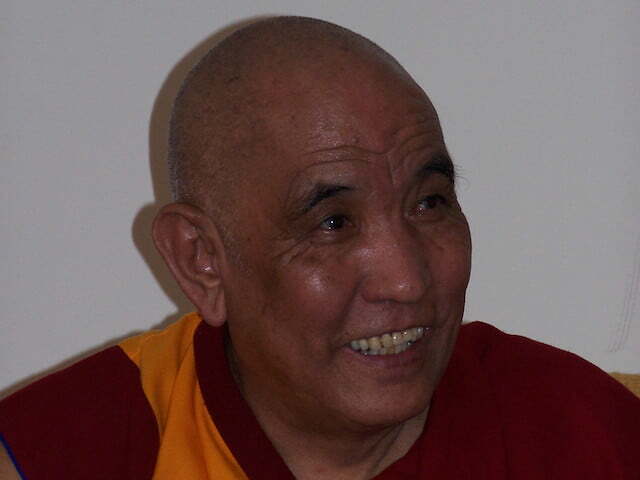 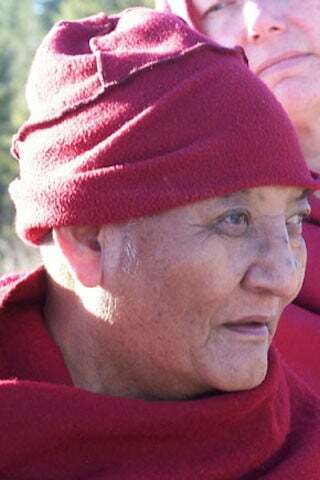 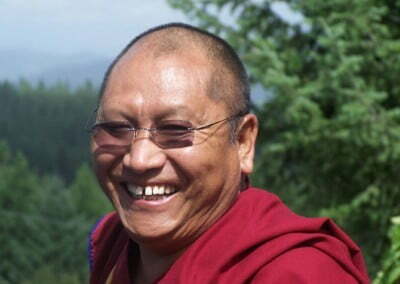 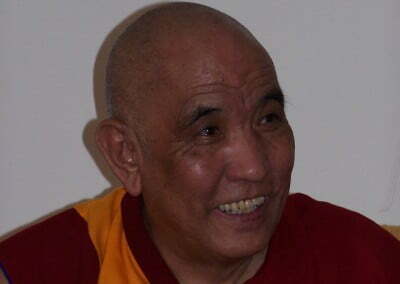 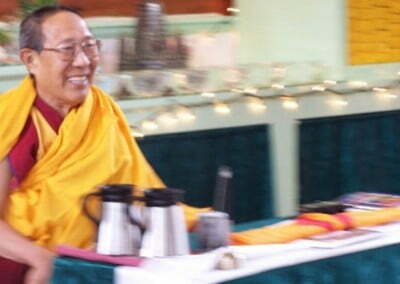 Khensur Jampa Tegchog Rinpoche is a Geshe Lharampa and former abbot of Seraje Monastery. 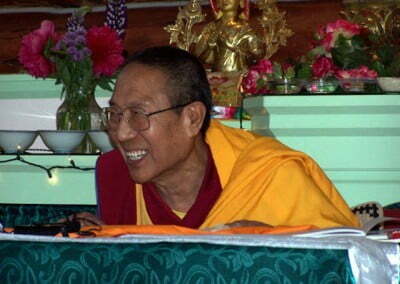 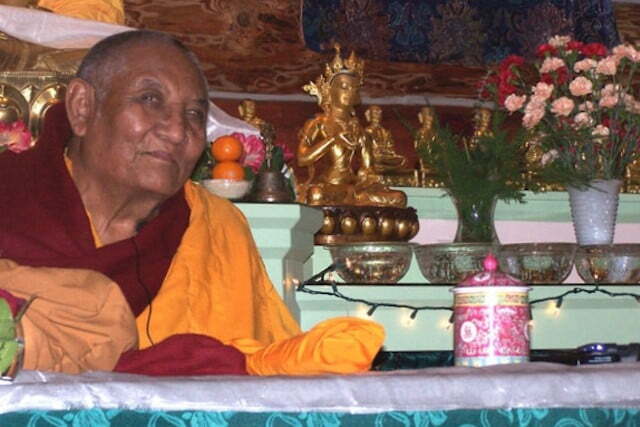 Rinpoche is the author of Transforming Adversity into Joy and Courage. 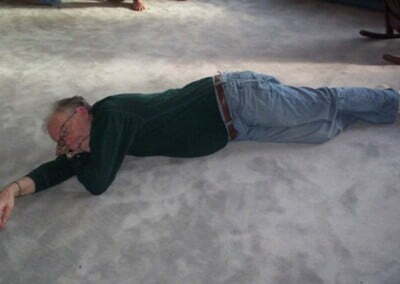 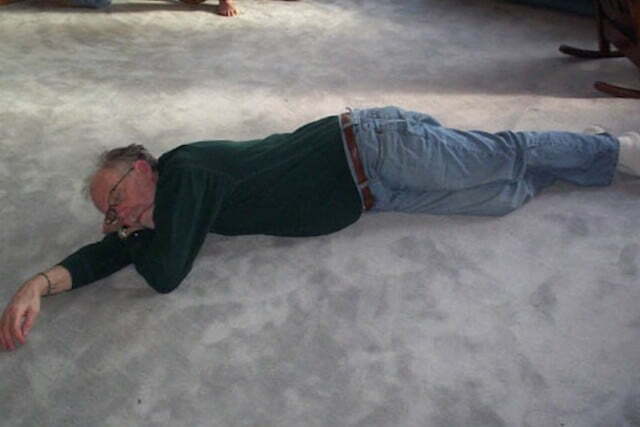 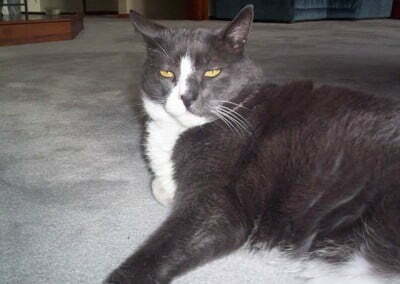 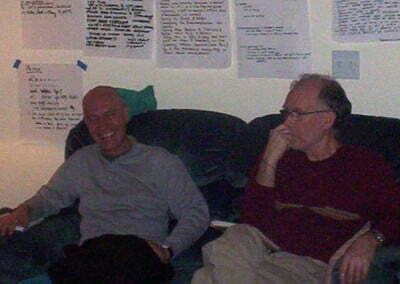 He is also a member of the Abbey’s advisory board. 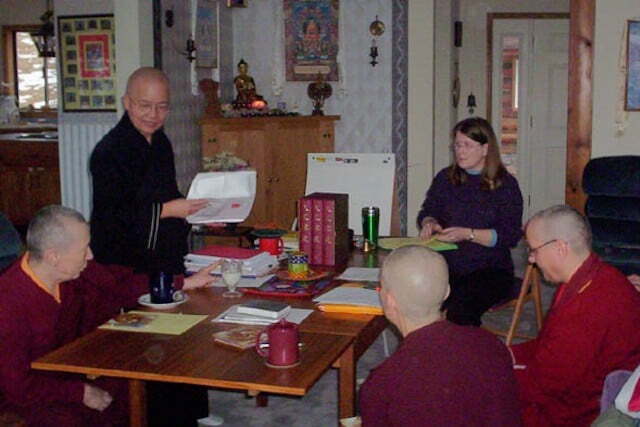 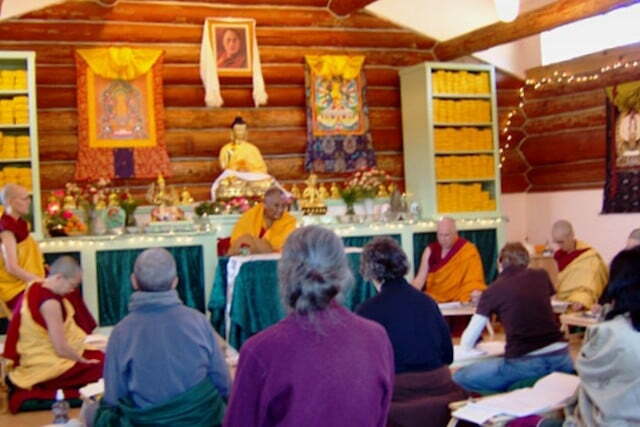 It was great having so many Sangha members come for his wonderful teachings. 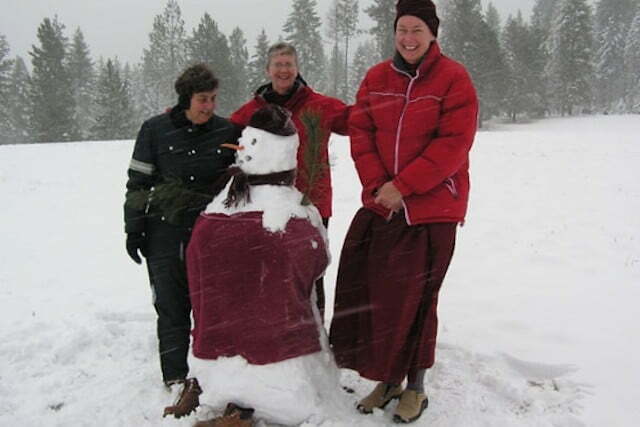 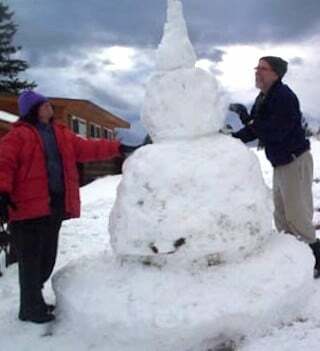 Friends of Sravasti Abbey (FOSA) board has decided that an annual meeting wasn’t enough fun. 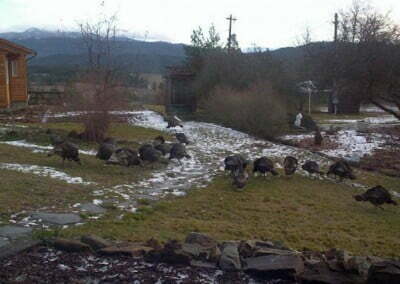 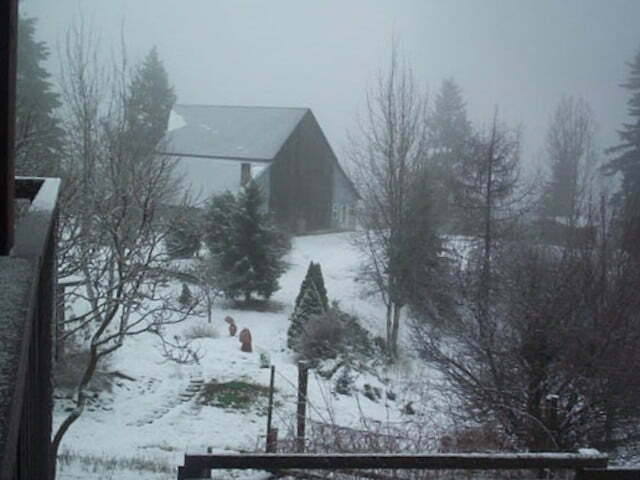 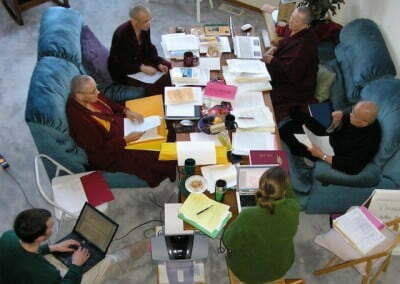 So, early December, they came from far and wide to discuss supporting Sravasti Abbey. 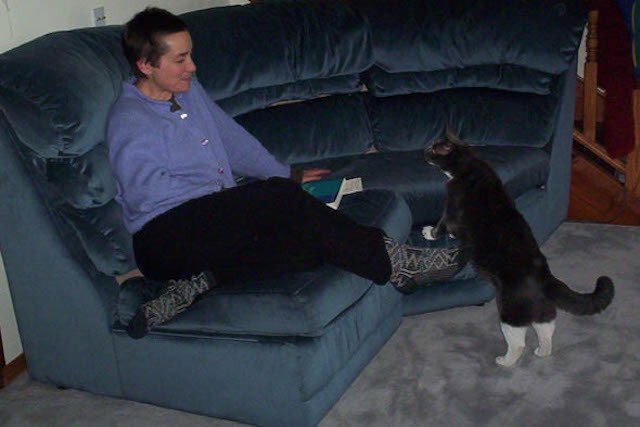 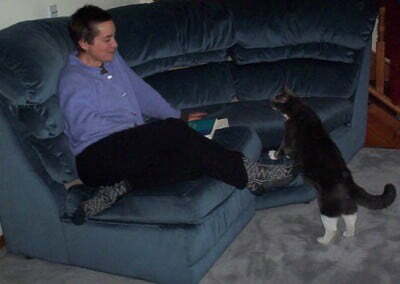 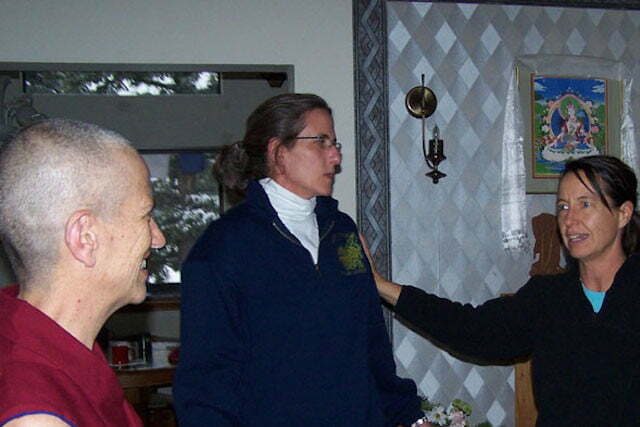 On October 2, 2006 Jan Howell took novice ordination and became Ven. 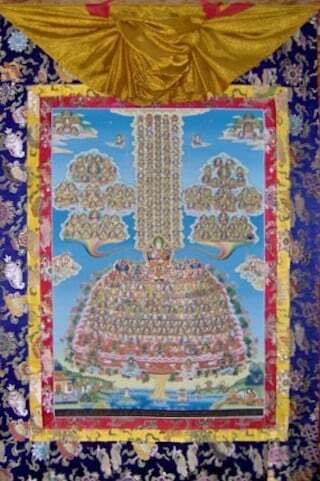 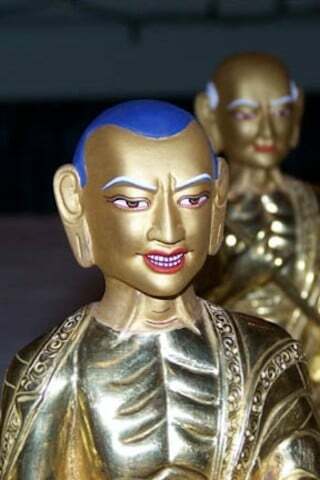 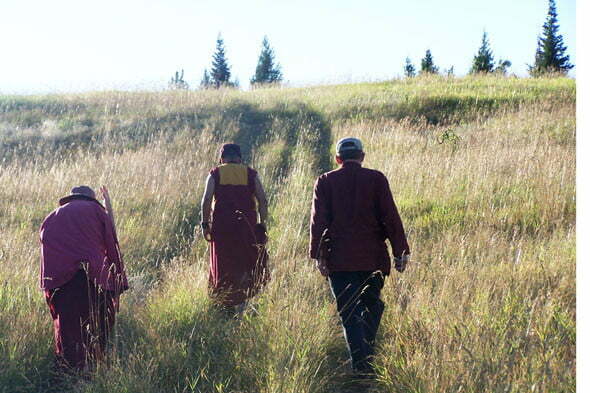 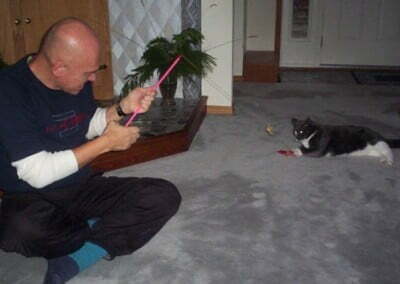 Thubten Tarpa. 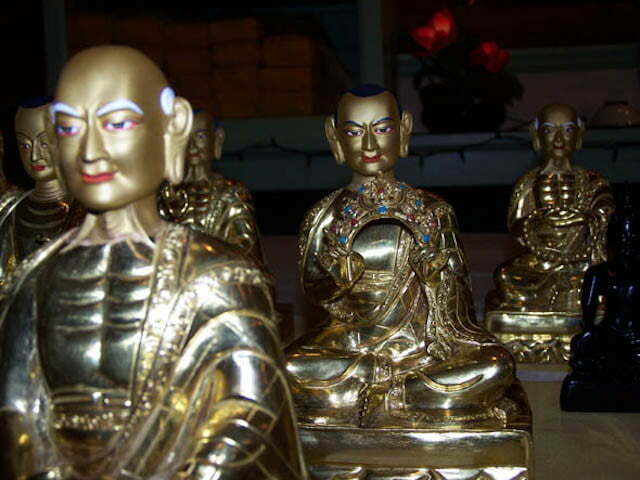 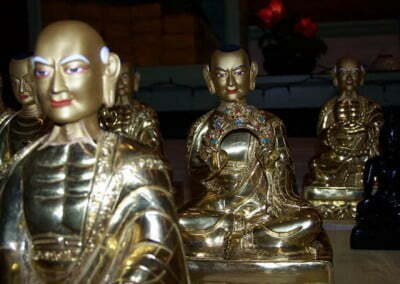 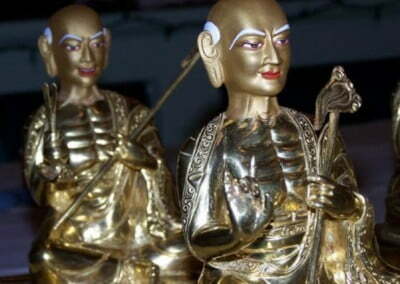 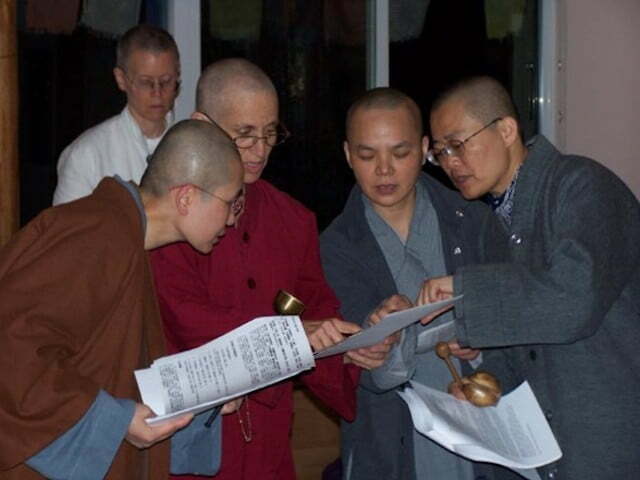 Three Chinese bhikshunis and Ven. 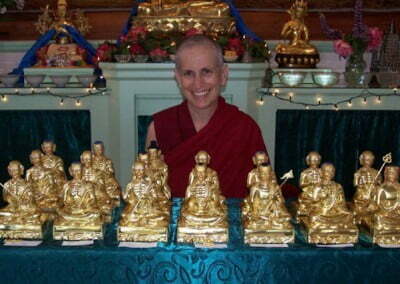 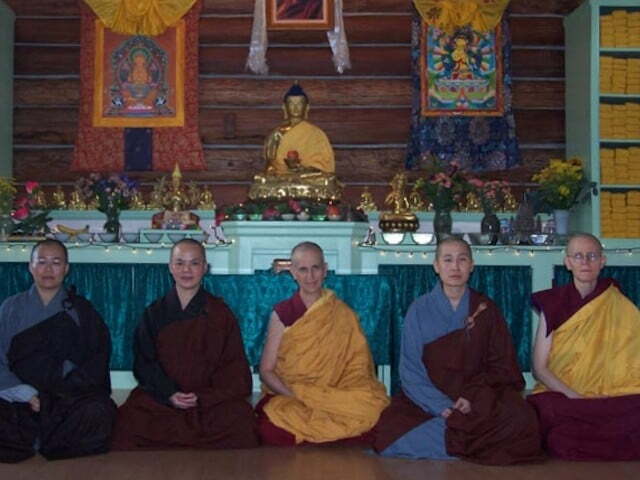 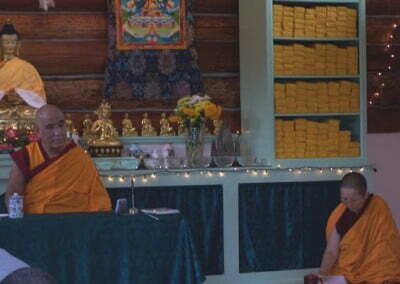 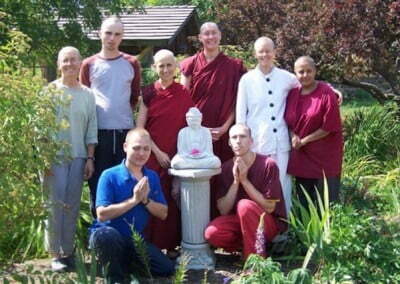 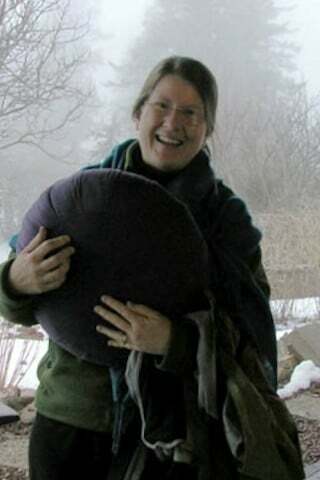 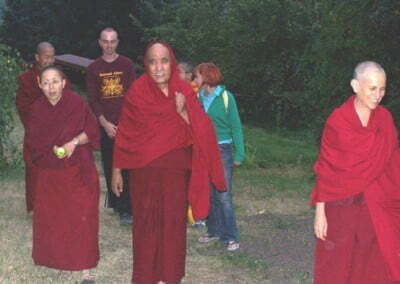 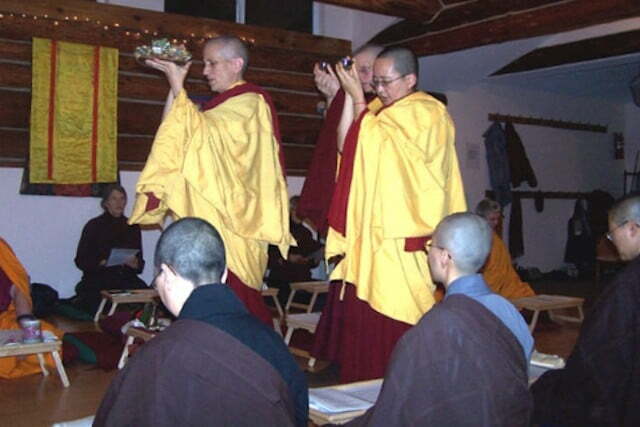 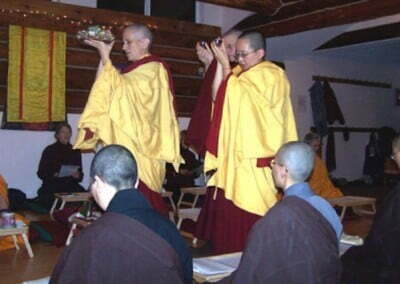 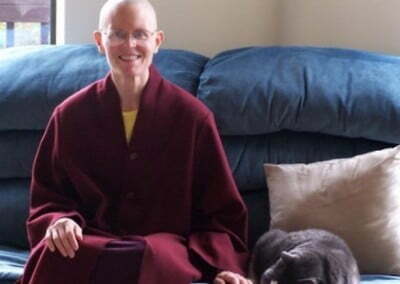 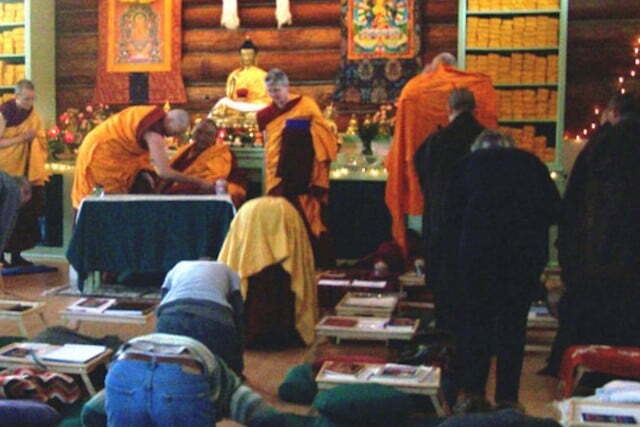 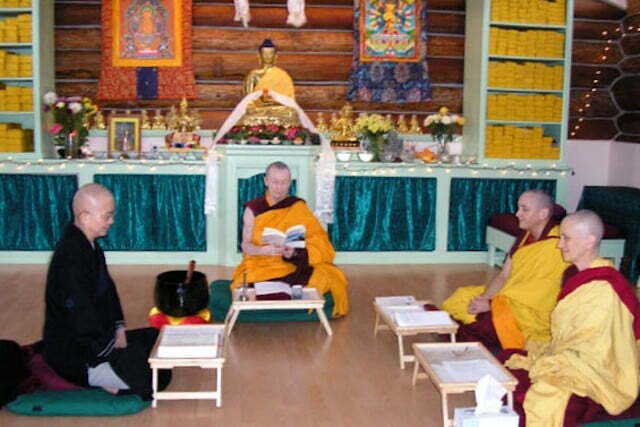 Chodron officiated at the first ordination at Sravasti Abbey. 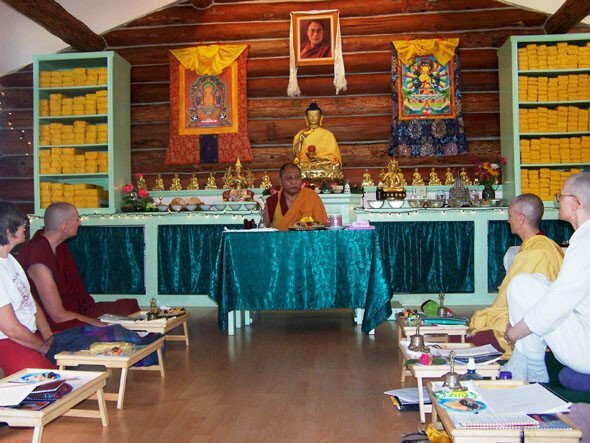 Gyume Khensur Rinpoche came to the Abbey the last few days of August to teach the Paths and Grounds of the Bodhisattva. He was accompanied by his attendant Geshe Sonam Thupten and his translator Venerable Tsenla. 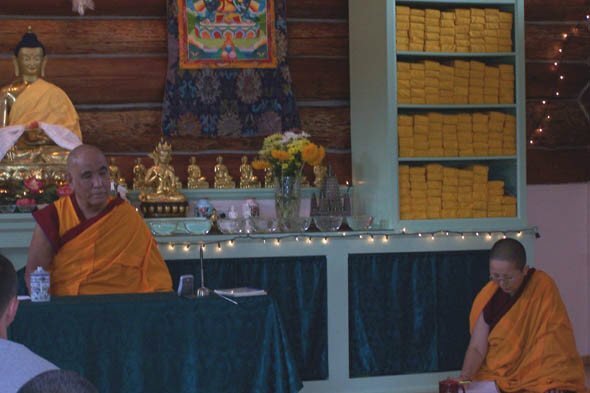 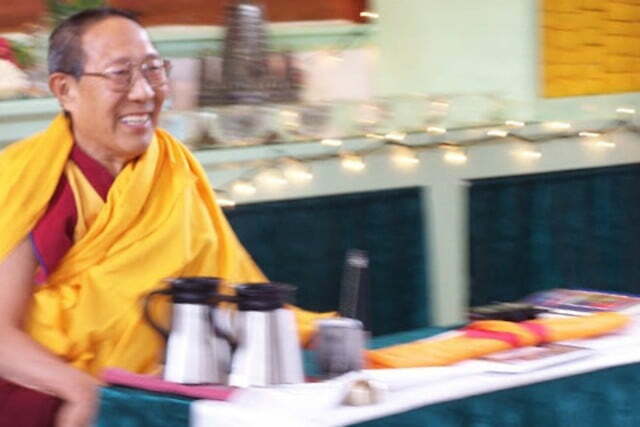 These complex teachings challenged many students to think in a much larger perspective as Rinpoche taught on the abandonments and attainments of each of the 10 Bodhisattva bhumis. 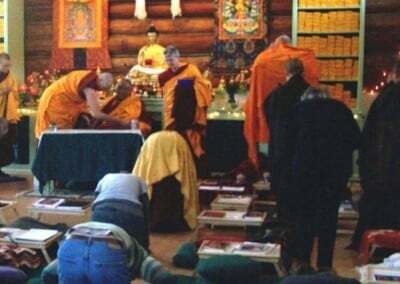 He also pointed out that studying and meditating on the Lam Rim is the foundation for the wisdom and realizations that are attained on these higher paths. 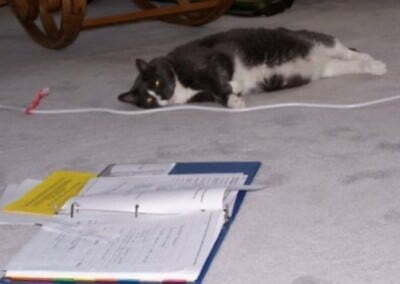 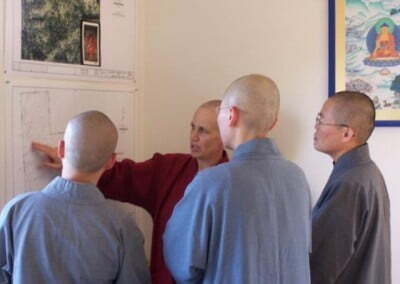 In fact he said one continues to study the Lam Rim all the way to enlightenment. 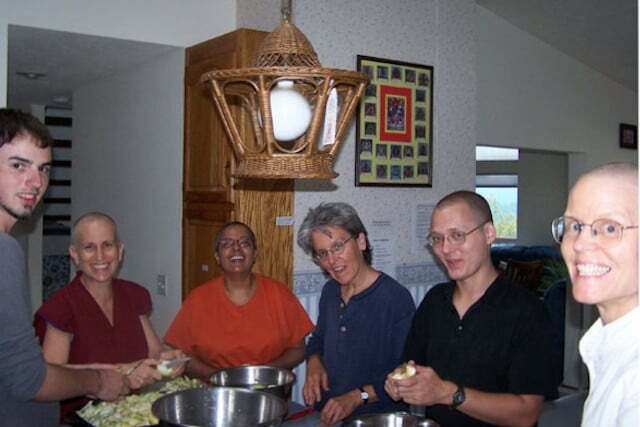 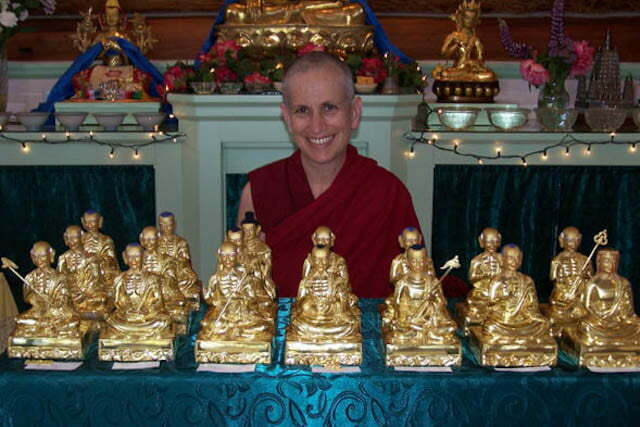 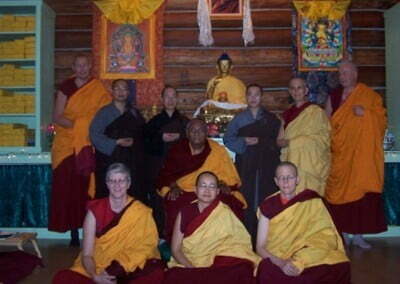 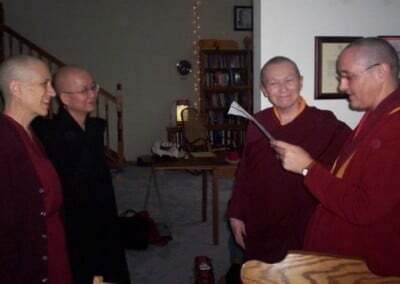 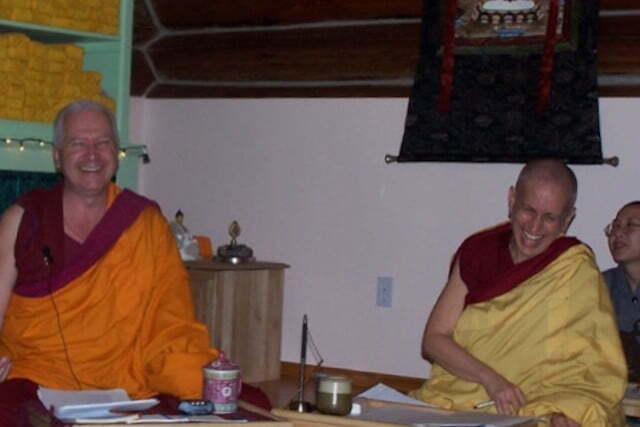 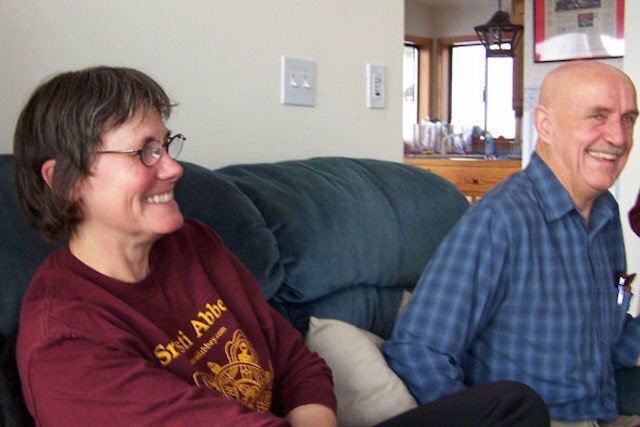 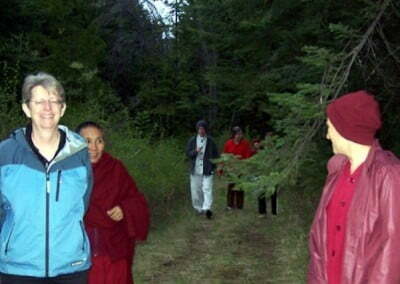 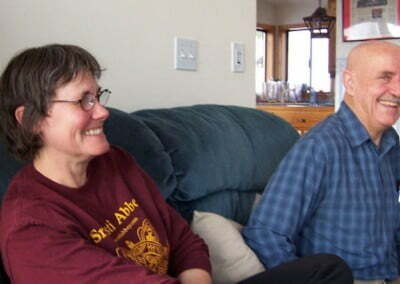 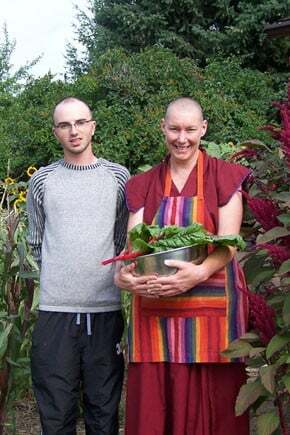 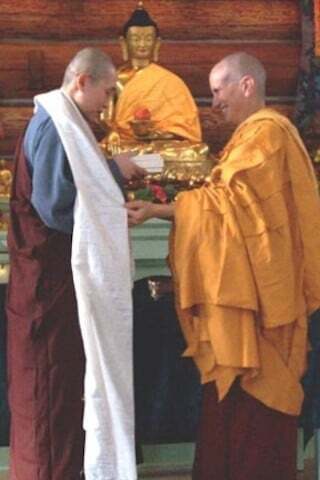 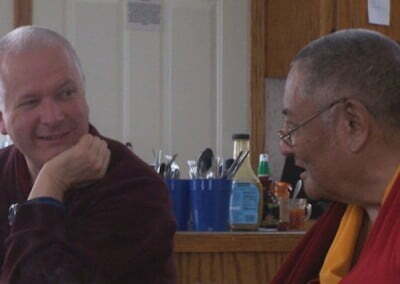 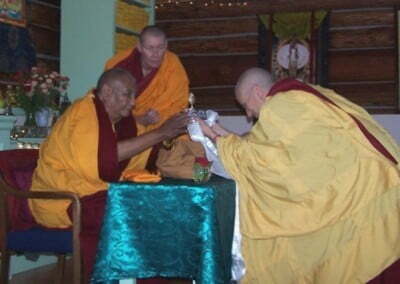 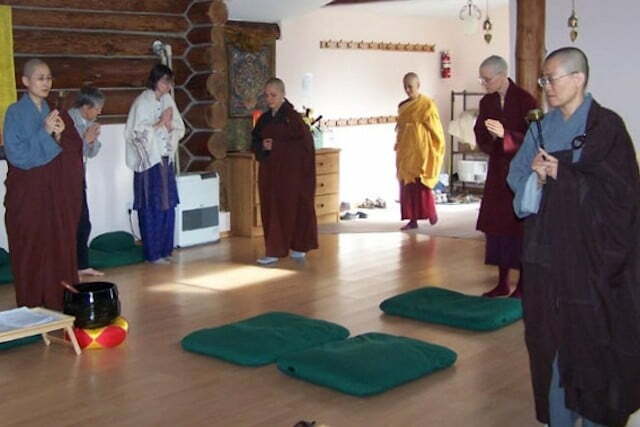 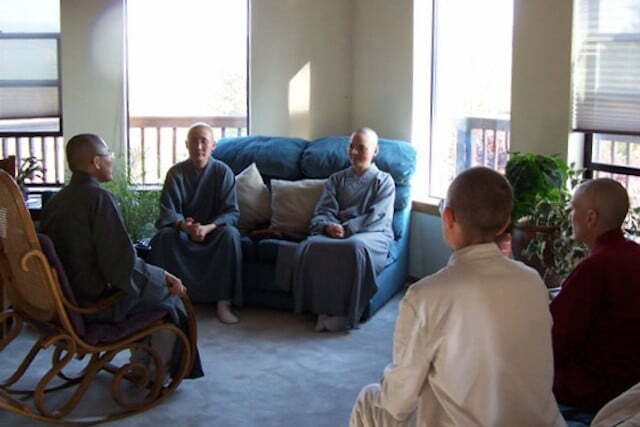 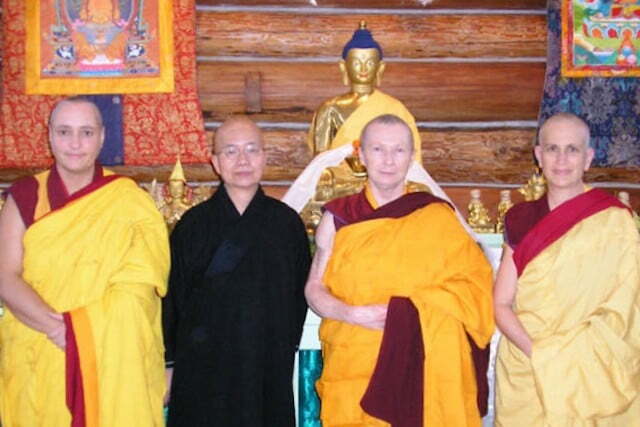 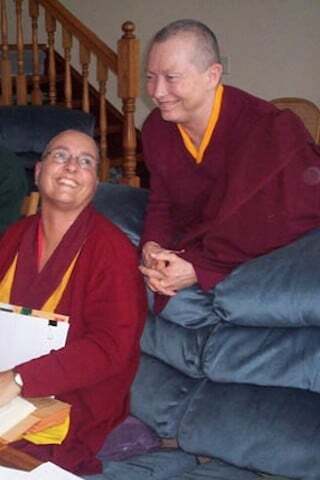 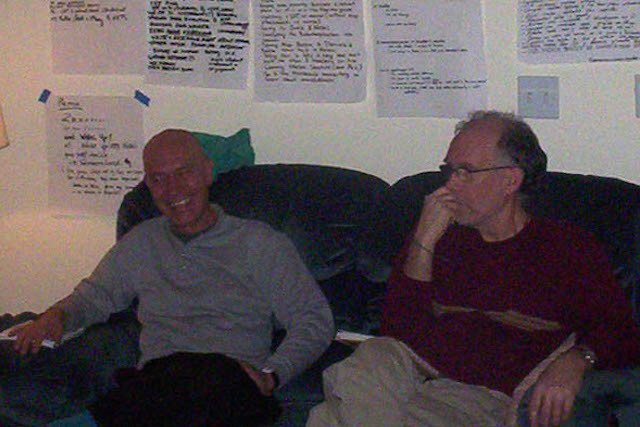 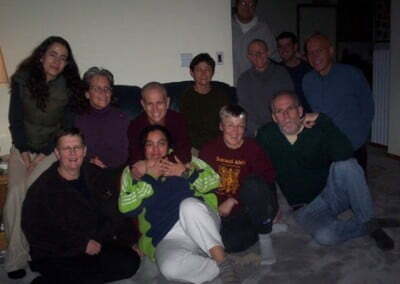 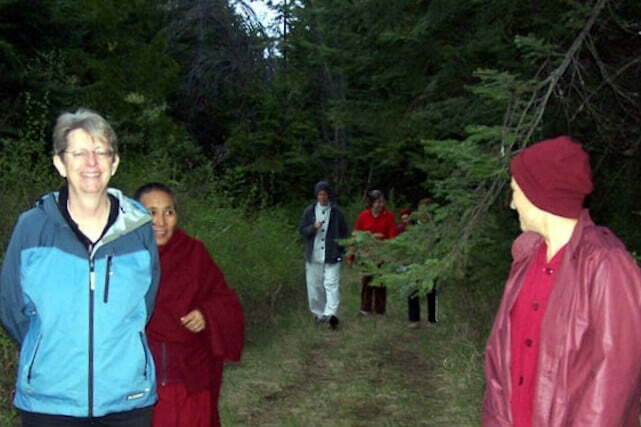 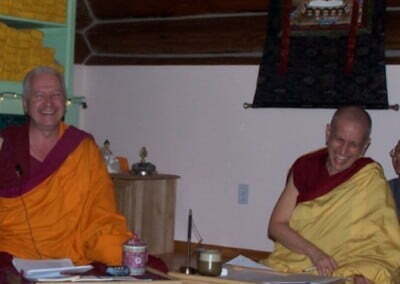 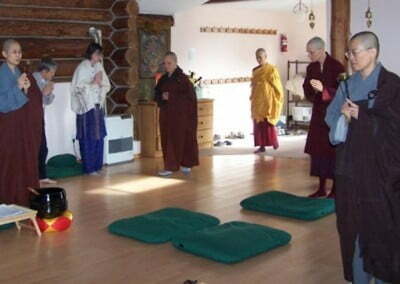 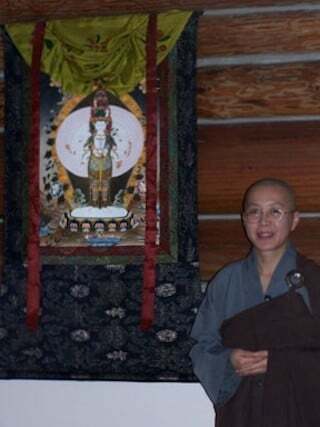 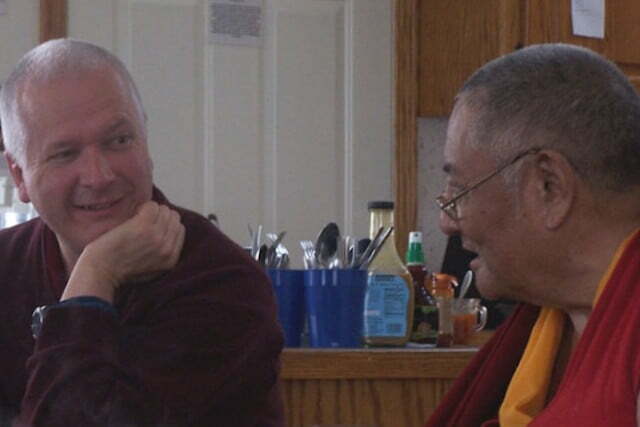 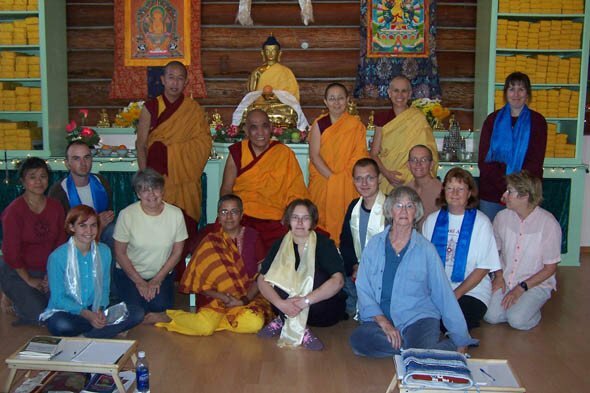 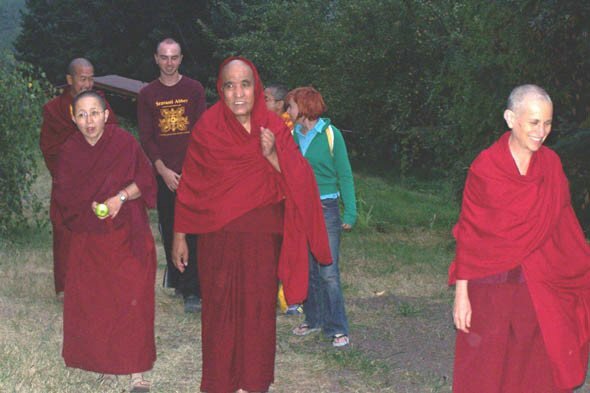 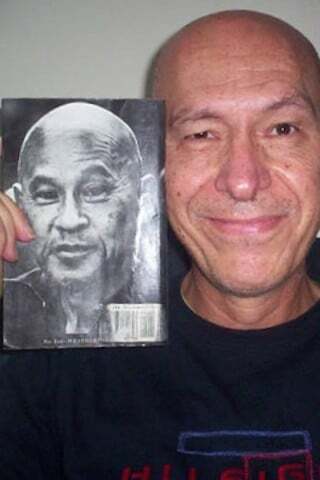 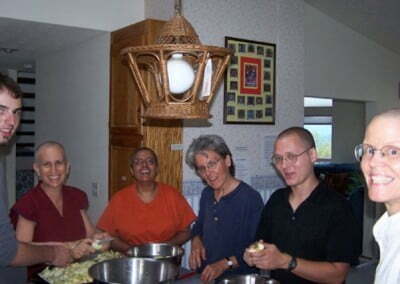 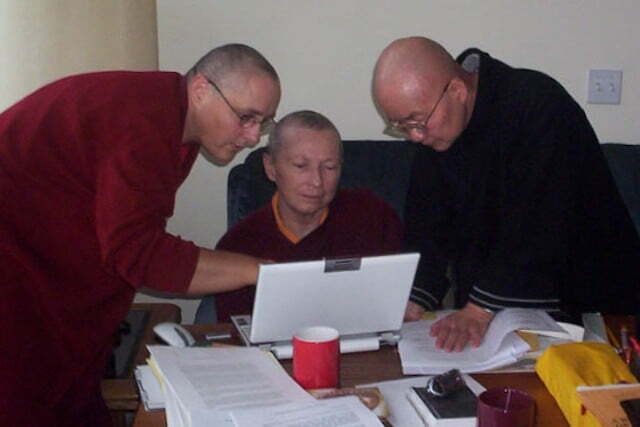 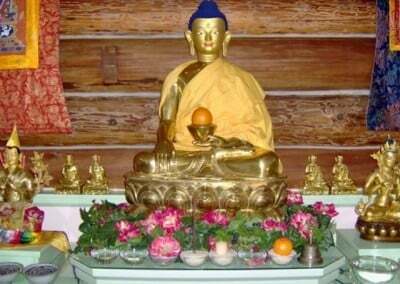 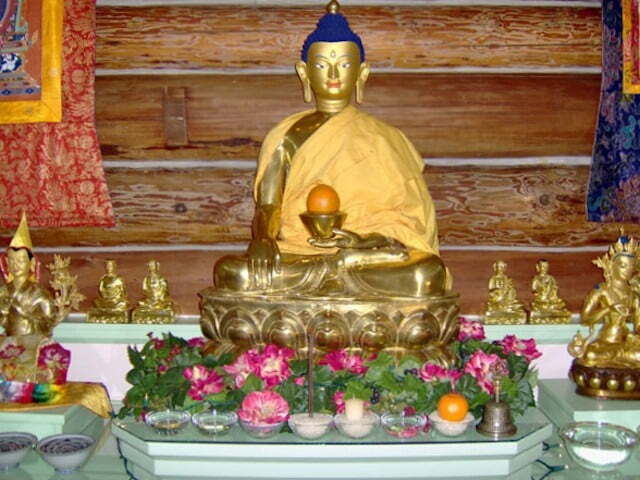 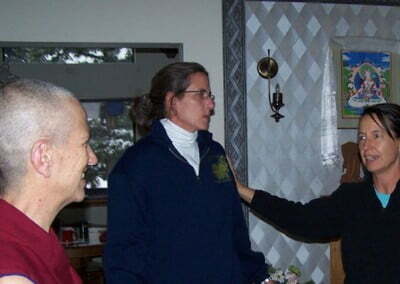 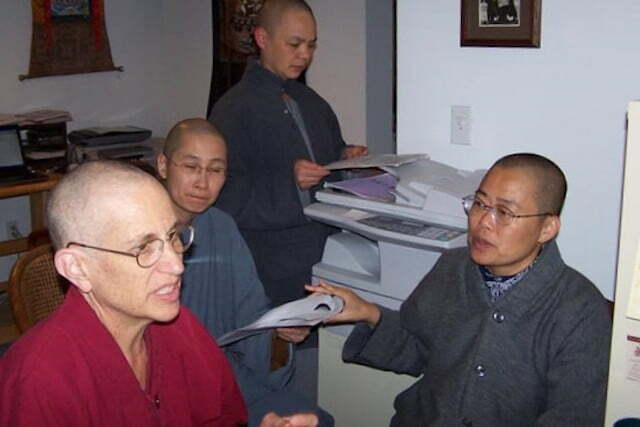 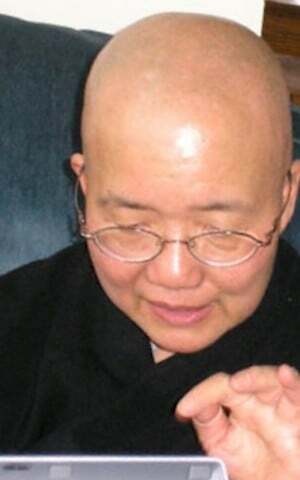 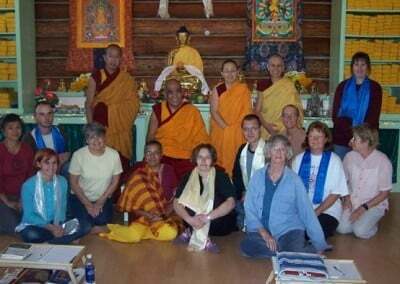 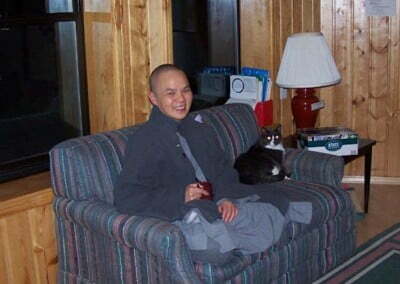 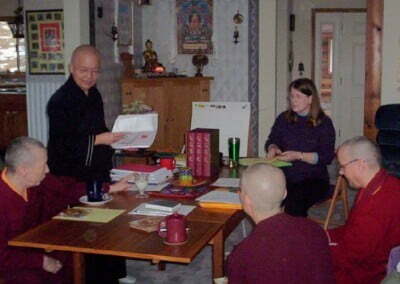 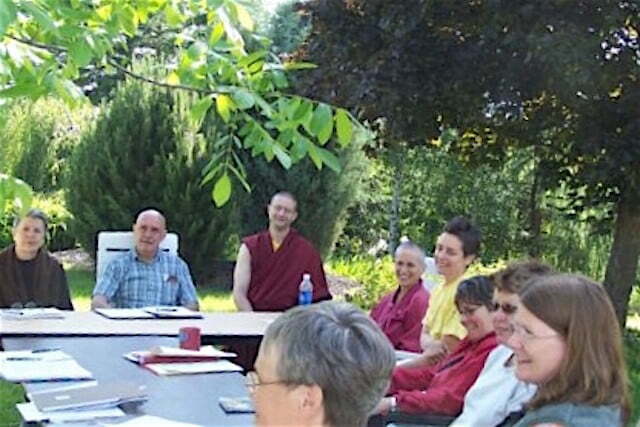 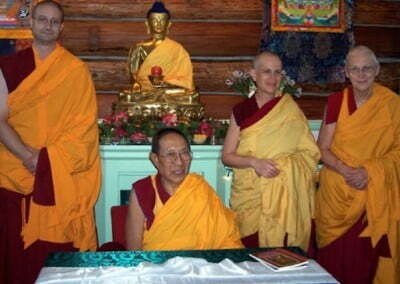 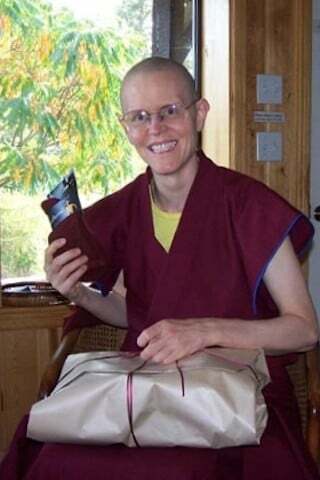 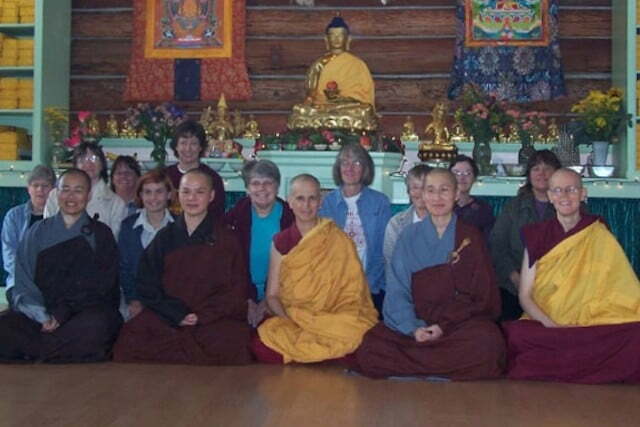 We were honored by his presence and Venerable Chodron requested him return soon and teach again. 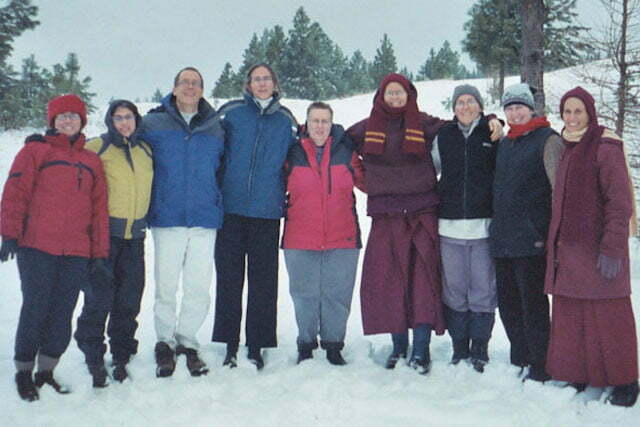 Eight participants spent an intense and fruitful 2 1/2 weeks exploring their choice as well as aspirations to ordain. 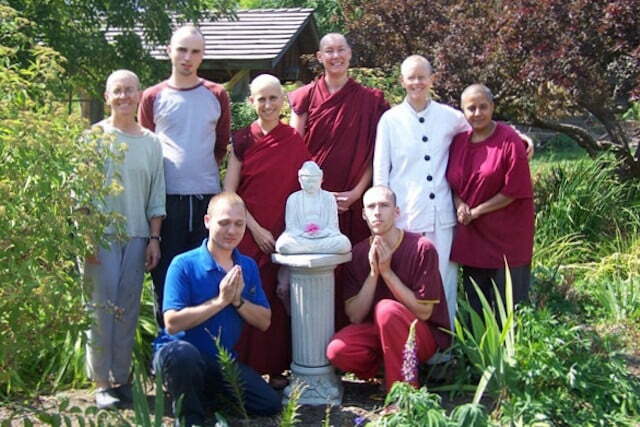 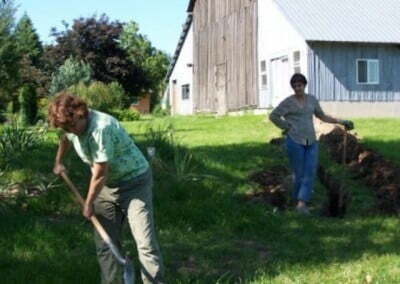 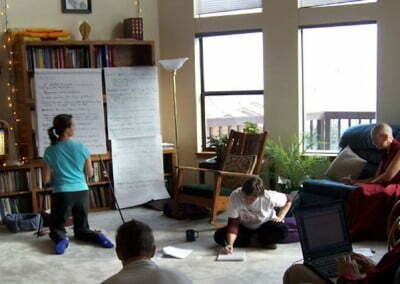 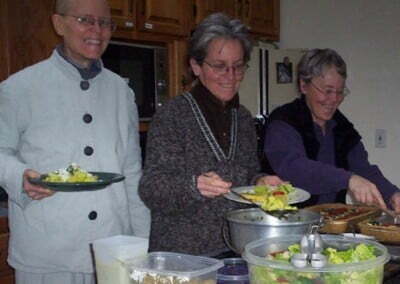 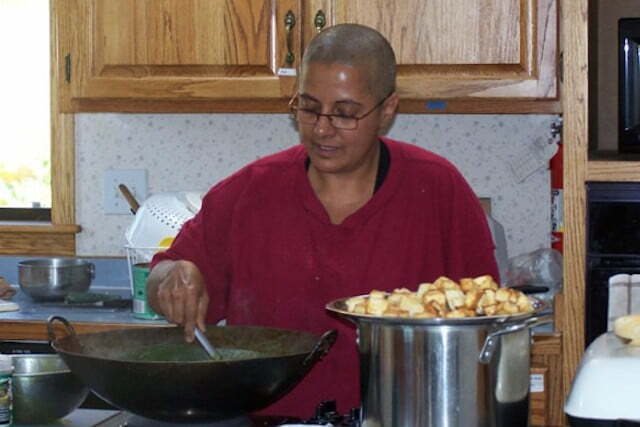 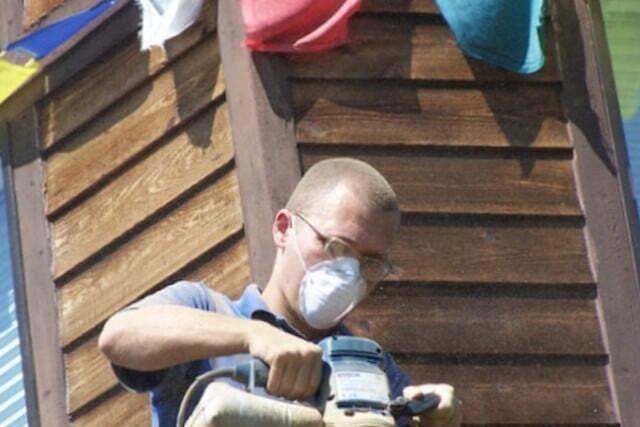 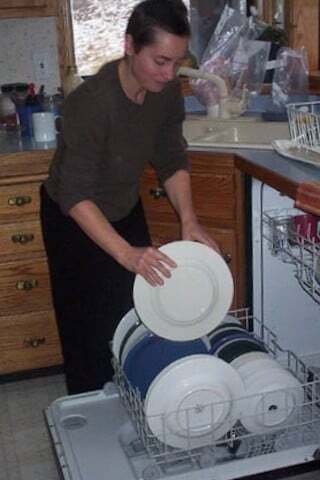 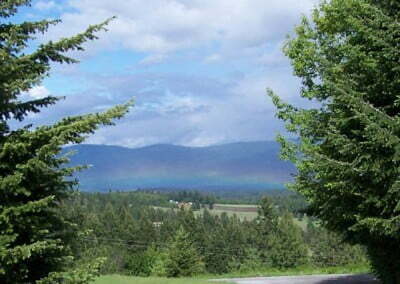 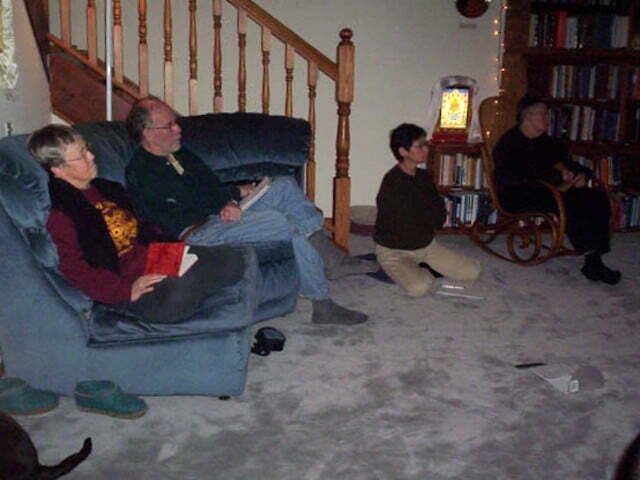 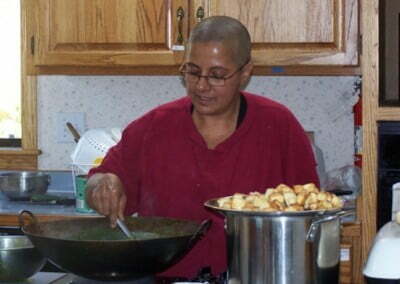 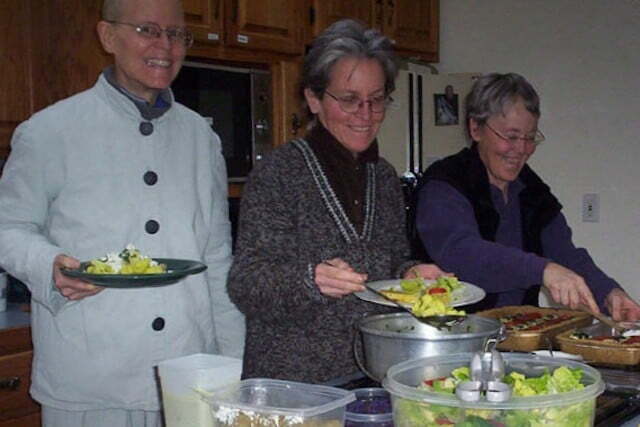 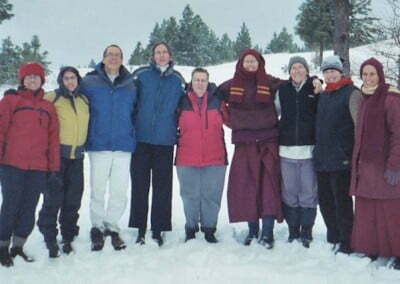 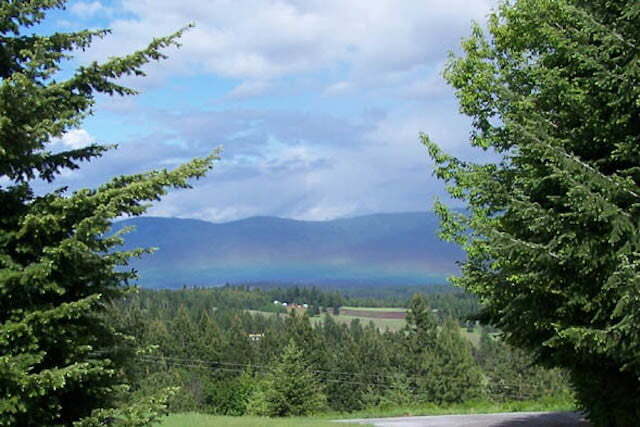 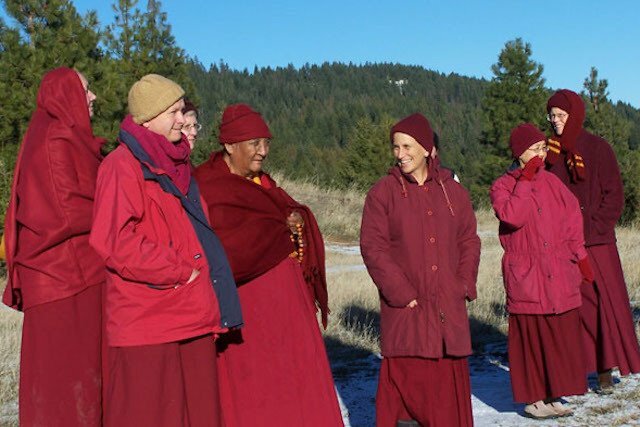 Two monastics, one trainee and five lay students lived in community. 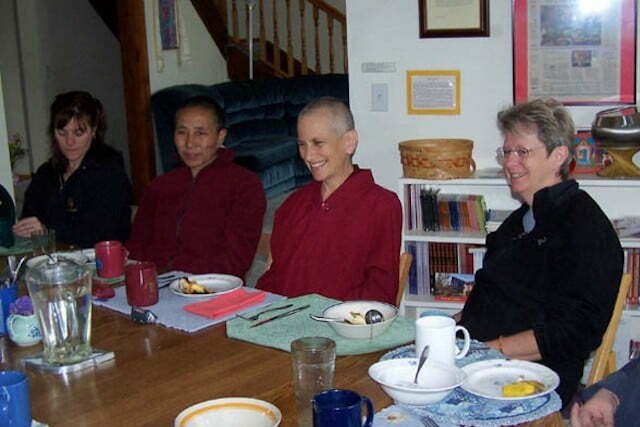 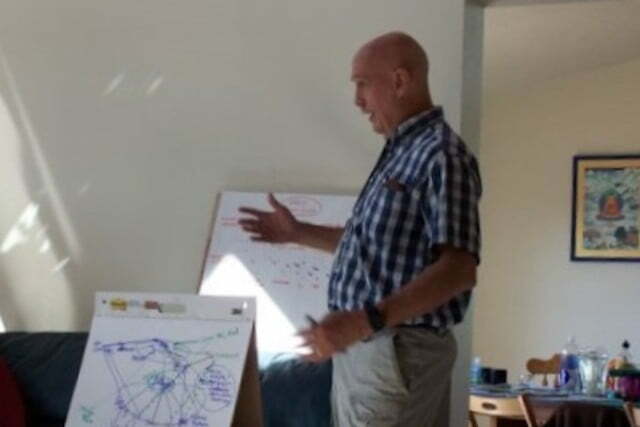 The schedule included offering service, teachings on the history of the Vinaya and the original sangha by Venerable Chodron, and group discussions on key issues and questions about ordination. 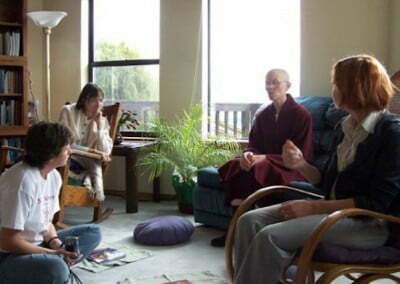 Click here to download mp3’s of EML teachings. 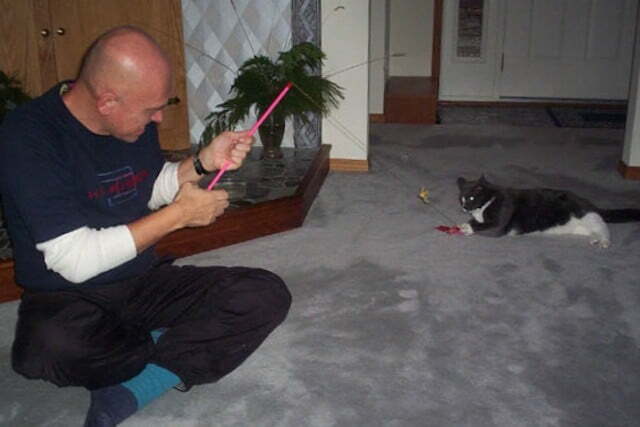 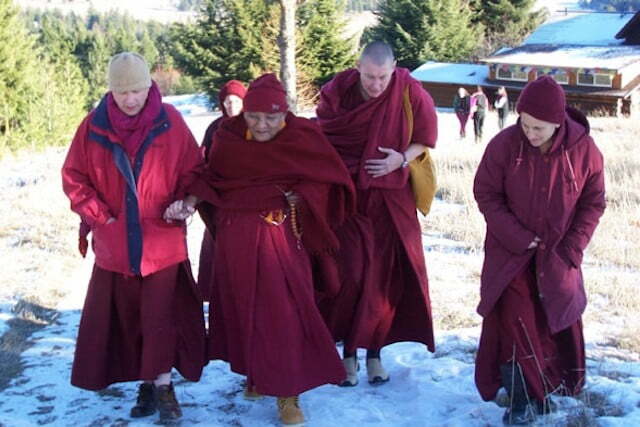 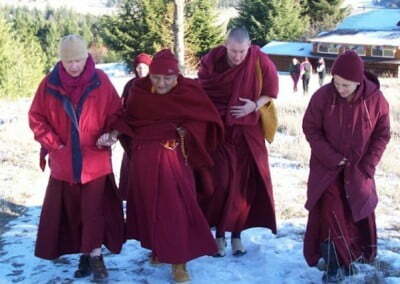 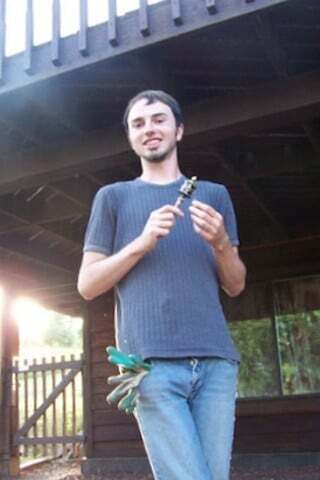 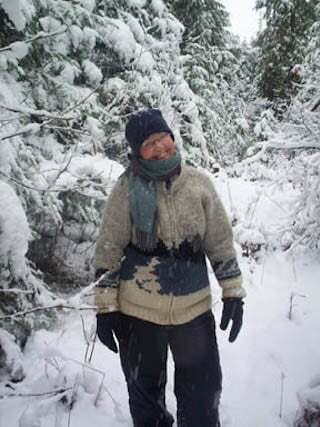 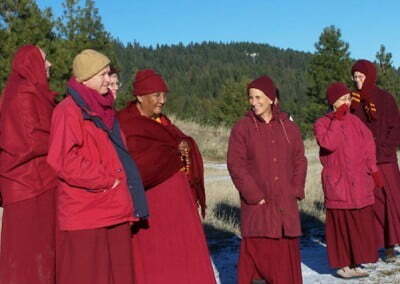 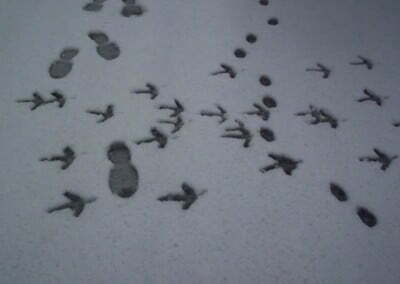 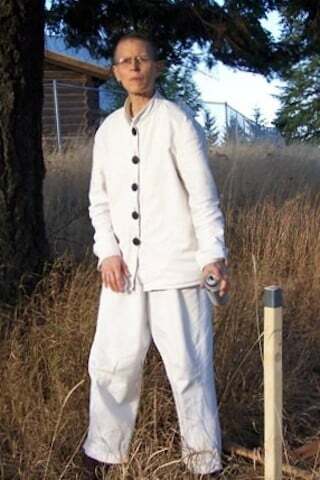 There was also daily practice, morning and evening, as well as long walks in the forest. The retreat ended with skits and a sharing of everyone’s experience. 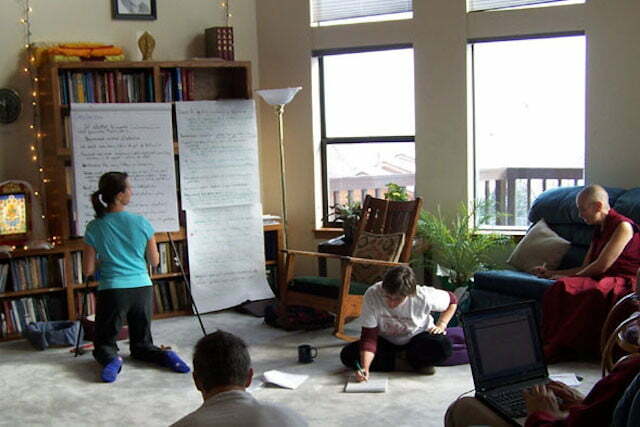 Retreatants felt this time at the Abbey extremely clarifying and inspiring. 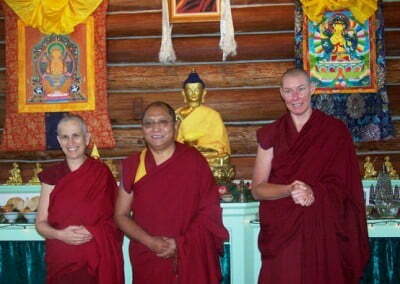 Geshe Damdul, who is a member of the Sravasti Abbey advisory board, visited the Abbey recently. 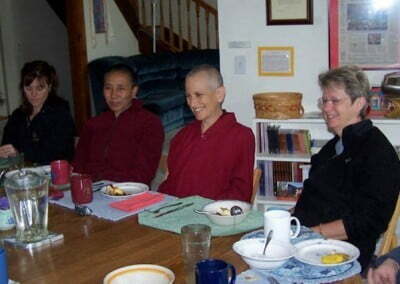 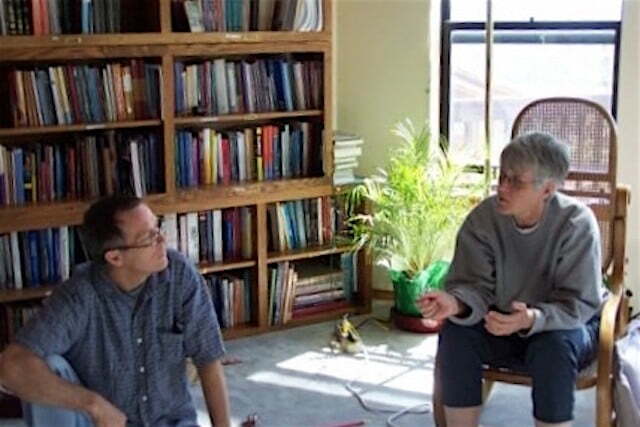 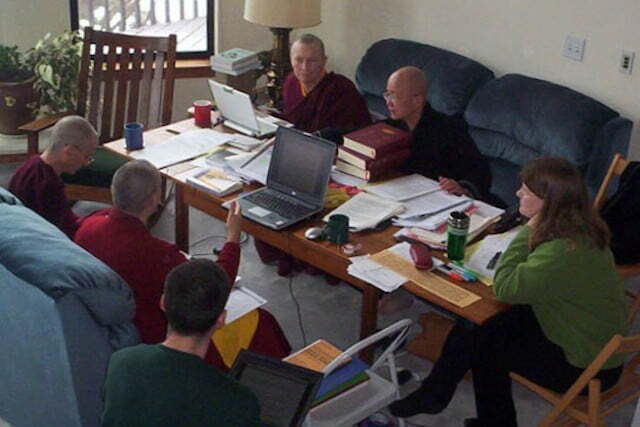 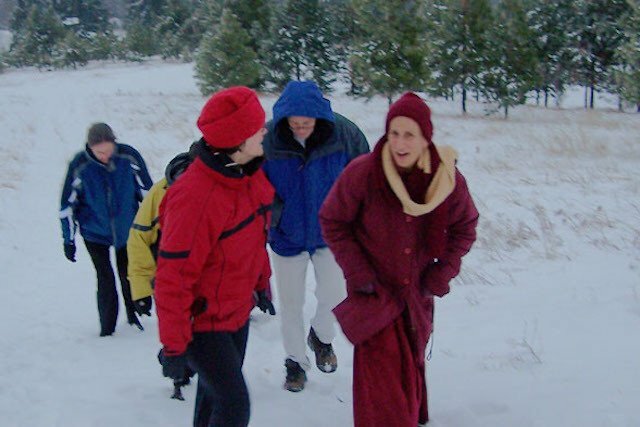 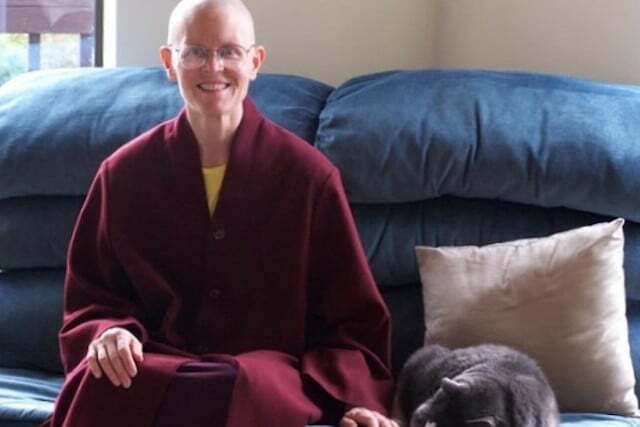 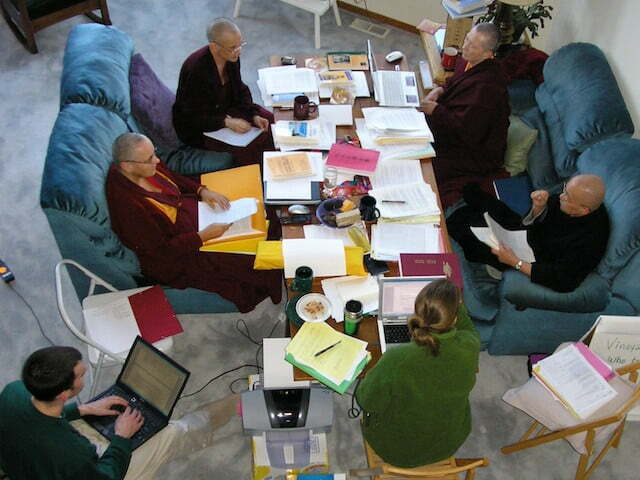 The advisory board is composed of monastics that advise and support Venerable Chodron on issues regarding monastic training and the Vinaya. 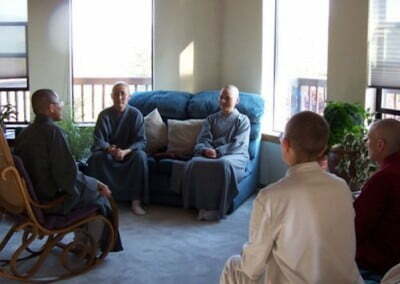 The Abbey had asked him to teach on compassion and world peace. 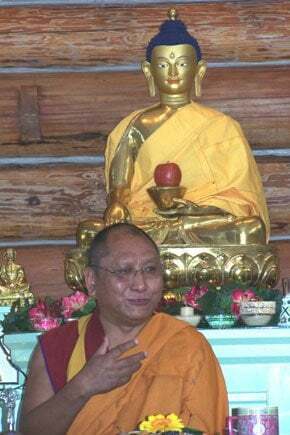 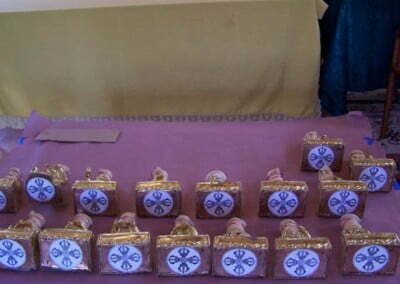 Geshe Damdul spoke on the increase of greed in many people’s minds throughout the world, and that this harmful attitude encourages violence, oppression and selfishness. 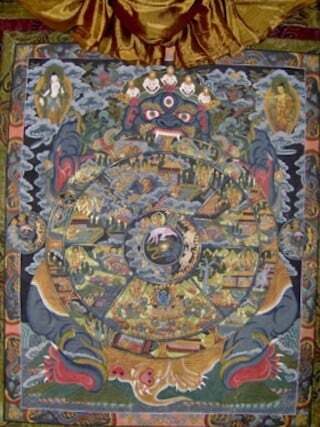 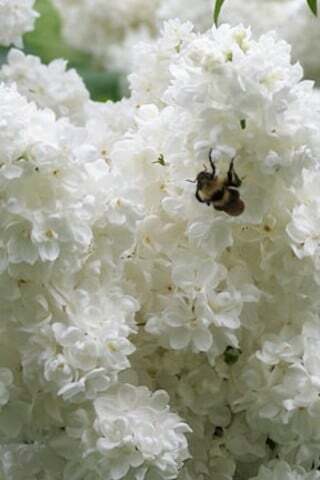 This in turn endangers peace, equanimity and harmony both on a local as well as global scale. 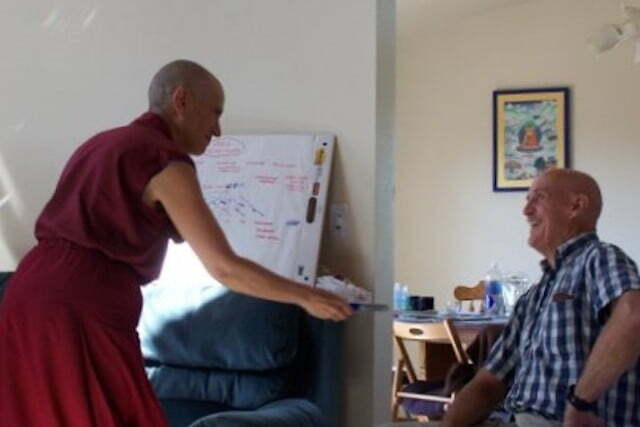 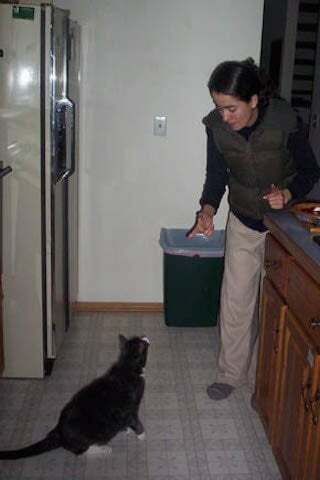 He encouraged us all to not feed and nourish these harmful states of mind but to feed and nourish those wonderful basic human qualities of loving kindness, patience and compassion. 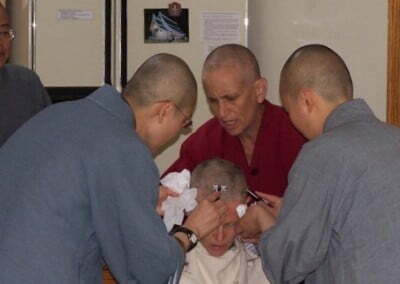 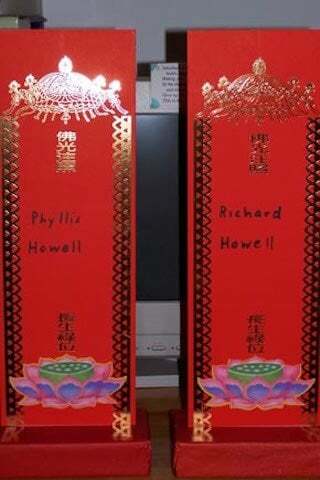 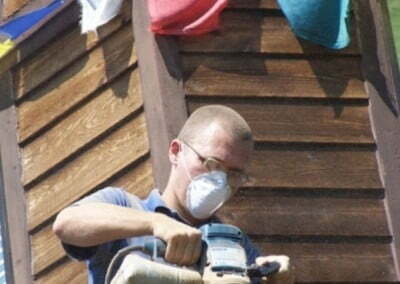 He challenged Buddhists to get more involved in helping those in need as part of their Dharma practice. 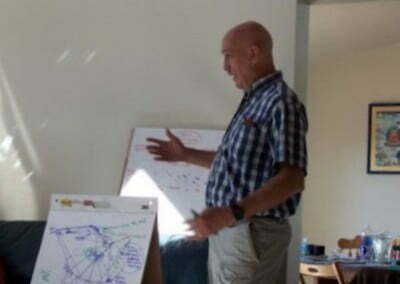 It was a wonderful and empowering teaching. 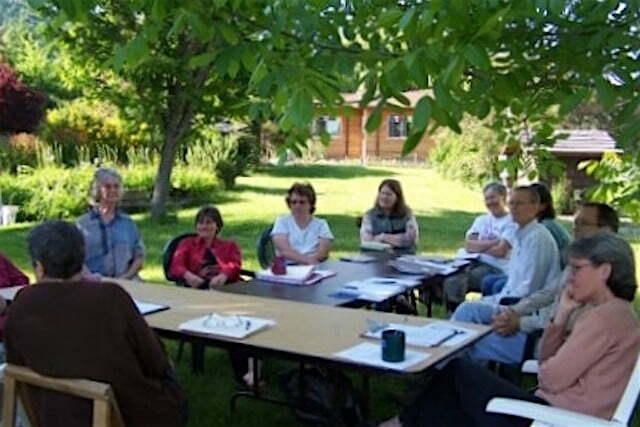 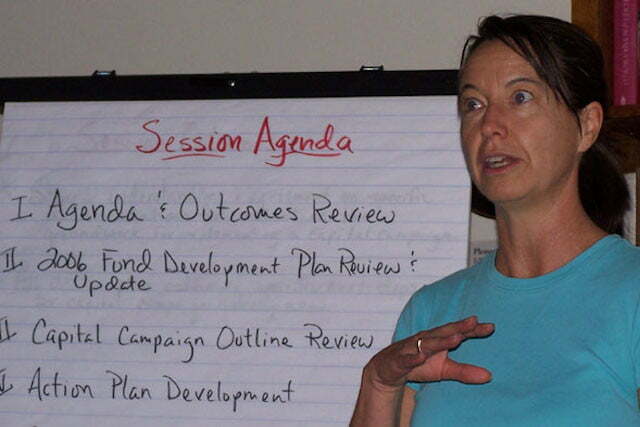 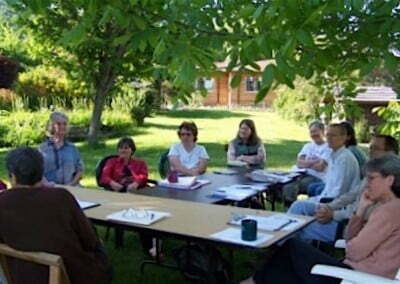 From June 21st through June 25th the Abbey held our Annual FOSA Board and Volunteers Meeting. 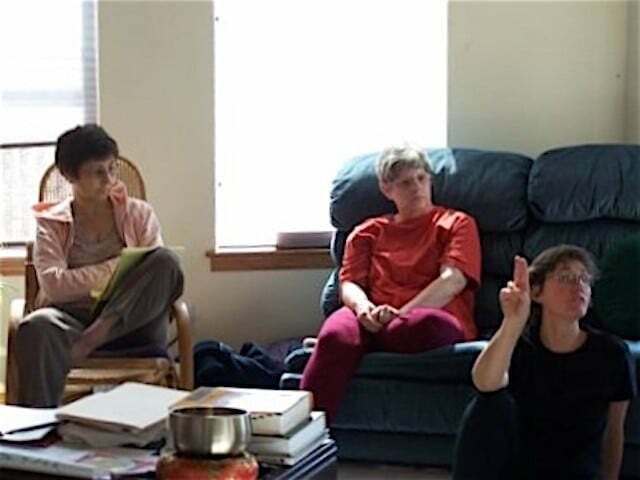 Laura Ellis, Debi Goldman, Dr. Betsy Napper, and Ven. 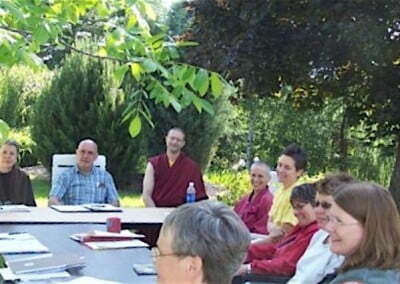 Lobsang Dechen visited us in mid-May. 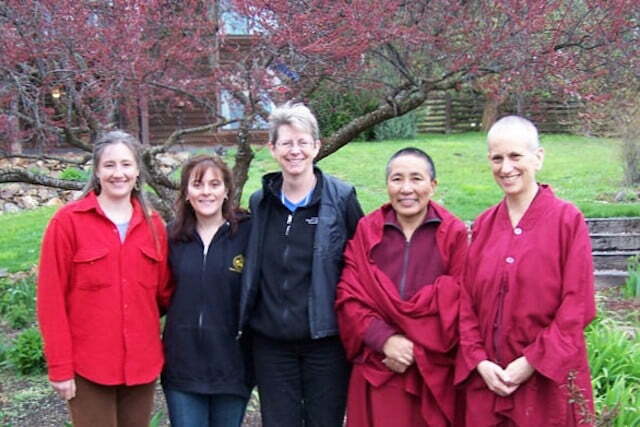 These devoted women work hard to provide housing and monastic education for Tibetan nuns. 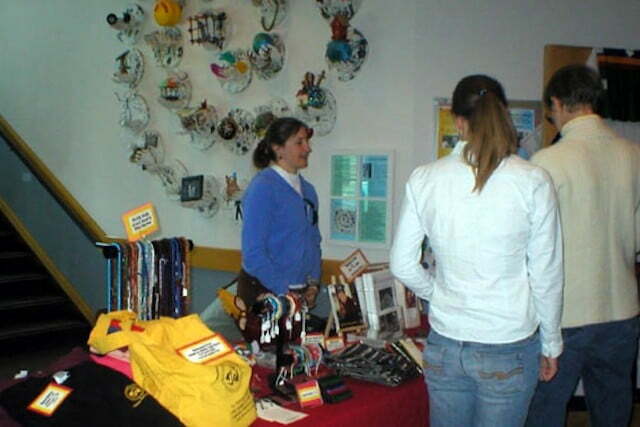 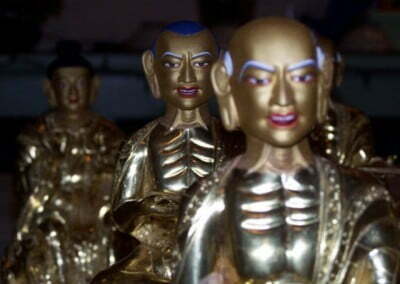 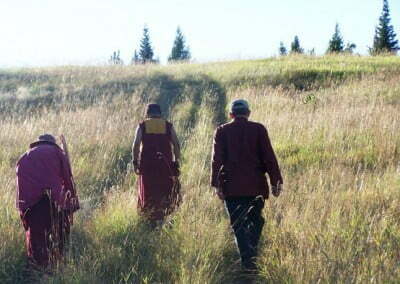 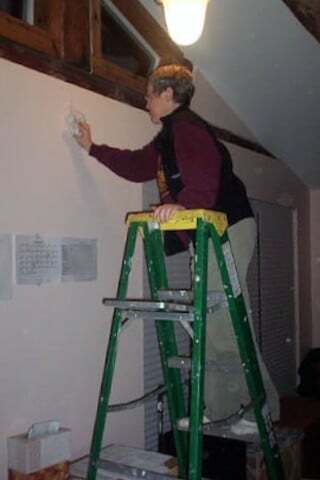 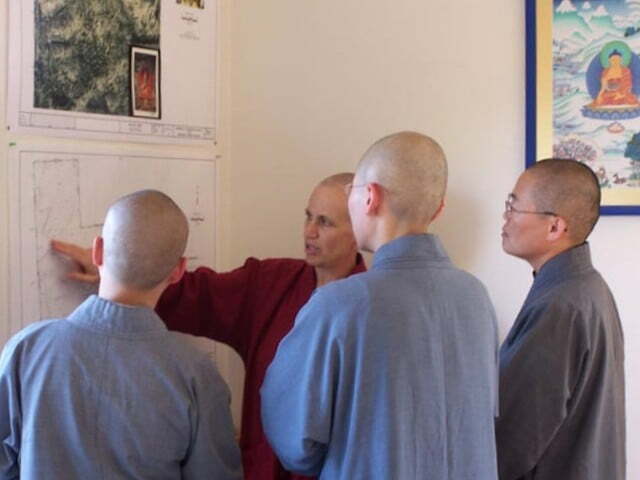 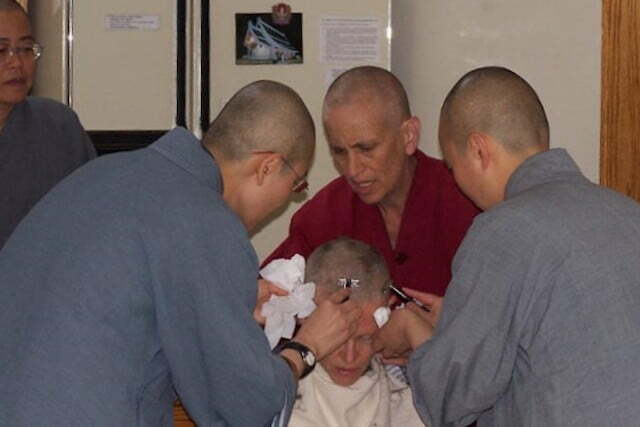 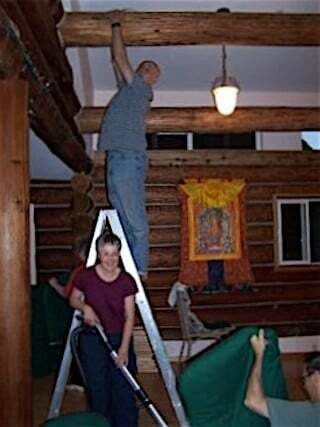 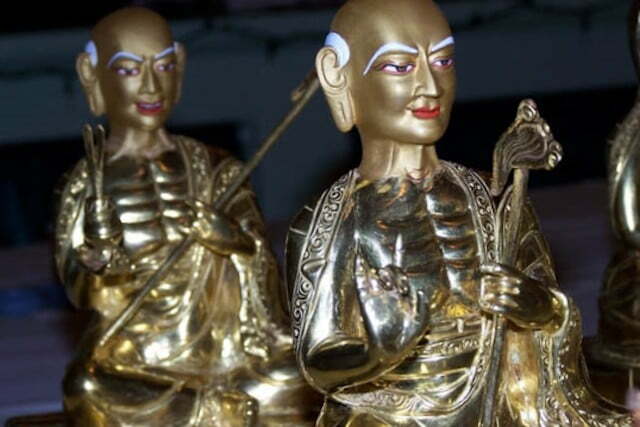 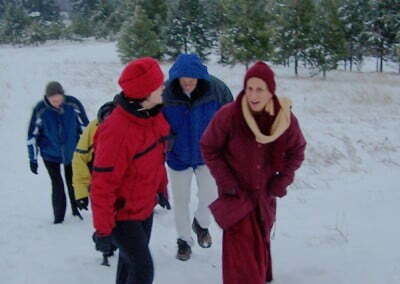 They are continually inspired by the tough detemination of Tibetan nuns to overcome all obstacles. 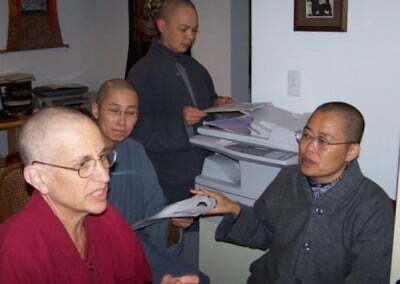 The nuns are constantly encouraged by the TNP’s devotion. 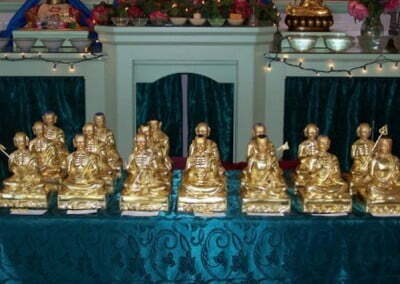 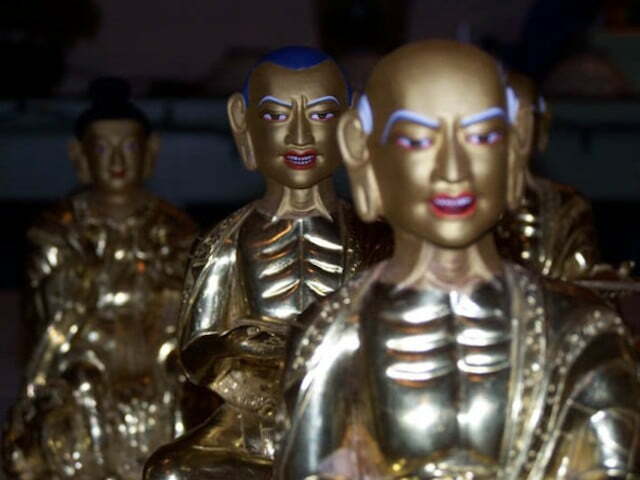 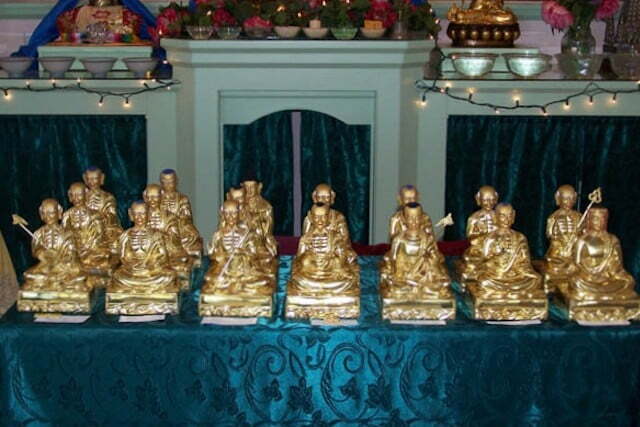 Rinpoche kindly filled, blessed, and ‘awakened’ the Abbey’s 17 Arhat statues residing now in the Meditation Hall. 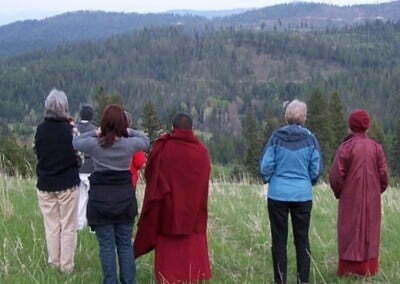 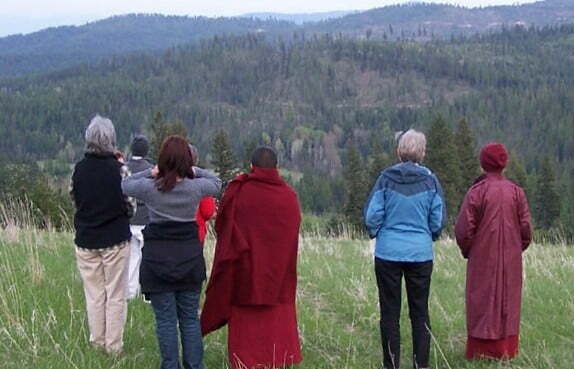 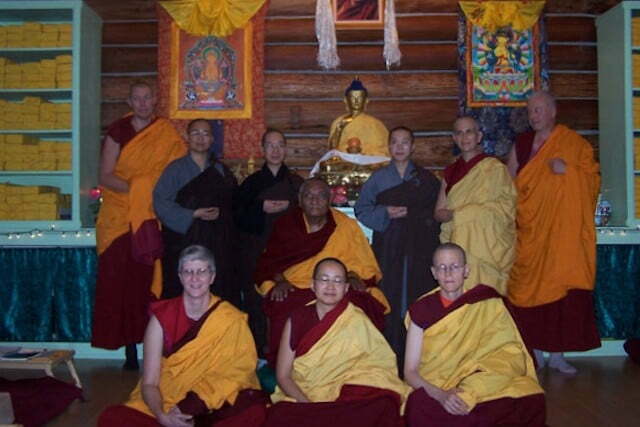 This past Memorial Day Weekend the Abbey hosted Panchen Otrul Rinpoche and Ven. 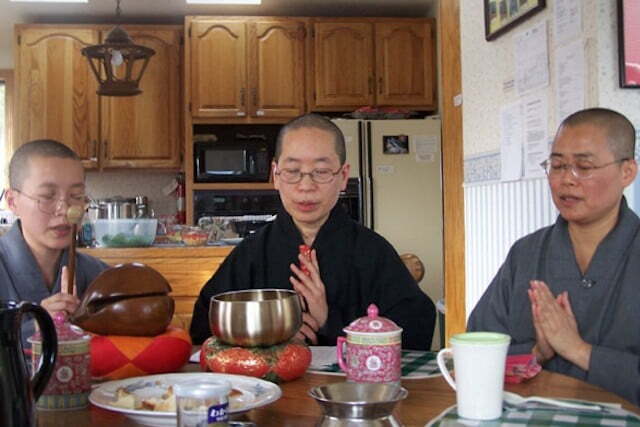 Margery from Jampa Ling Tibetan Buddhist Centre in County Cavan, Ireland. 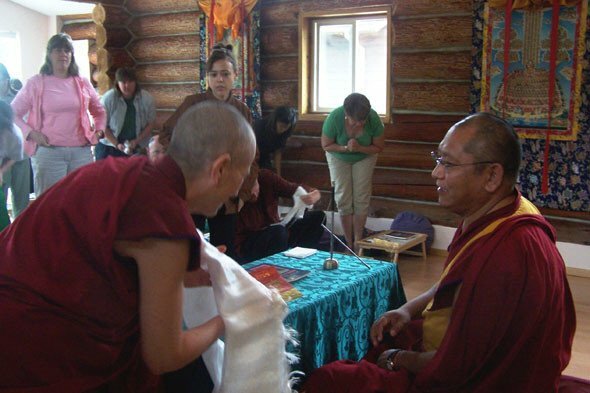 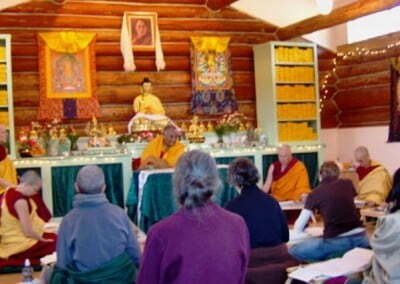 Rinpoche gave teachings for two days on “The Extraordinary Aspiration of the Practice of Samantabhadra,” Ven. 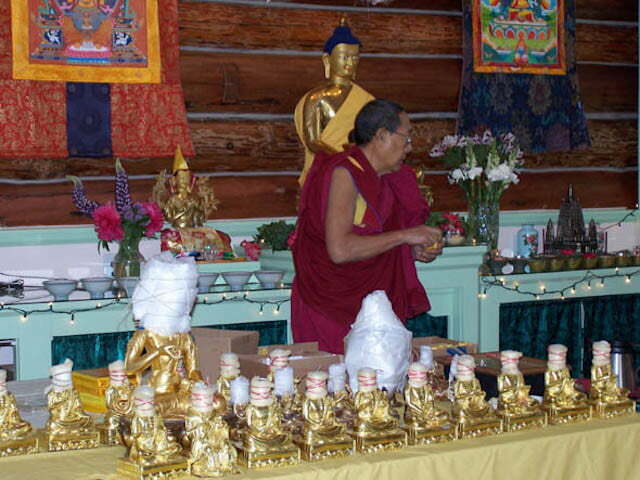 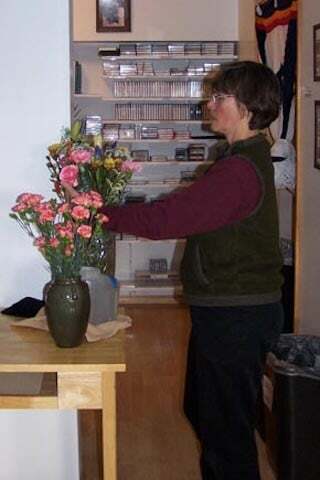 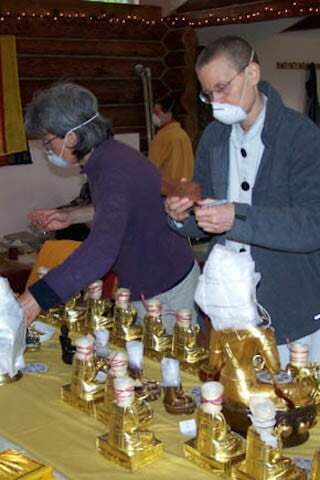 Margery presented a slide show of Rinpoche’s work re-establishing the Dharma in Outer Mongolia, and, last but not least, Rinpoche kindly filled, blessed, and ‘awakened’ the Abbey’s 17 Arhat statues (click here to see pictures) residing now in the Meditation Hall. 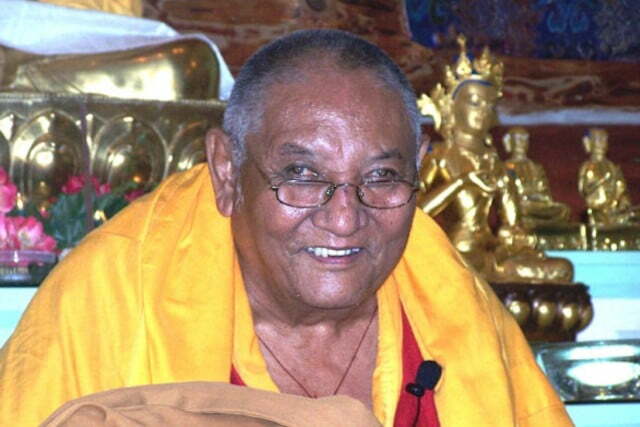 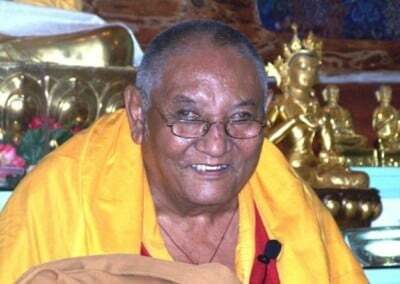 Read Rinpoche’s kind comments. 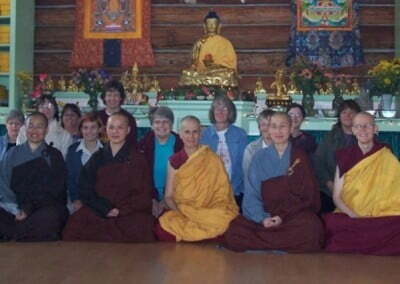 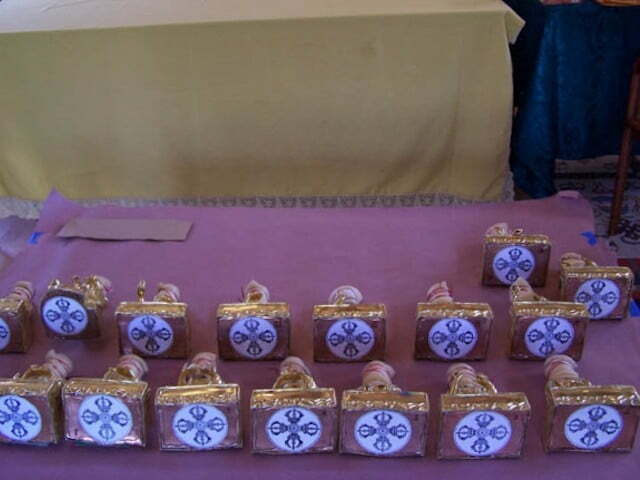 March 16 – 18, the Committee of Western Bhikshunis met at Sravasti Abbey to discuss how to help His Holiness in his wish to establish full ordination for women in the Tibetan tradition. 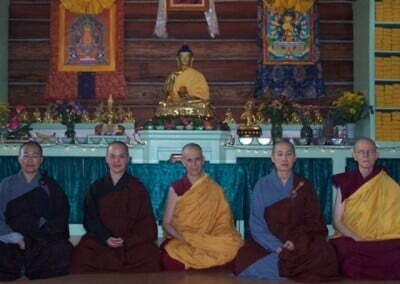 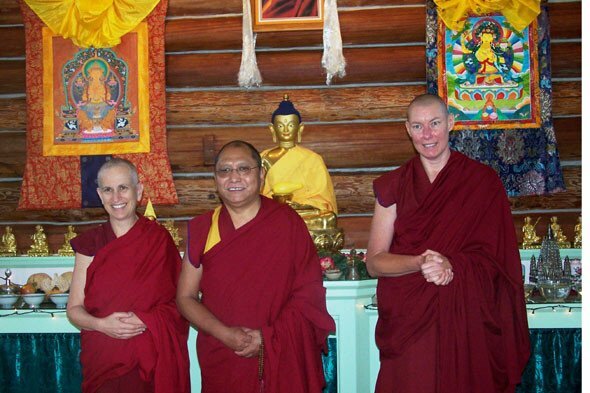 We were honored to have such senior bhikshunis with us-together the four of us totaled about 120 years in ordination! 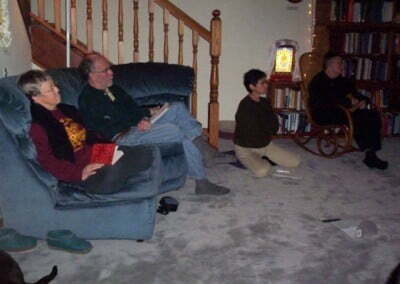 We may be quiet, but we also have fun. 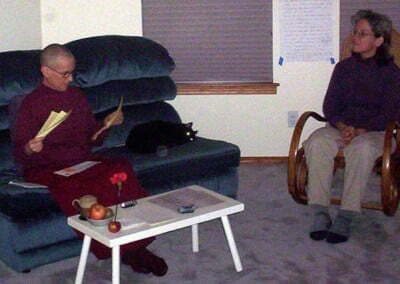 There are times of real joy that punctuate the silence.